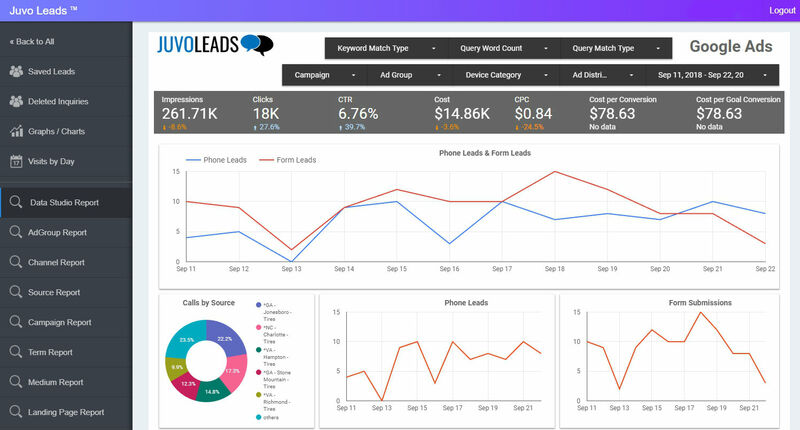 Summary: Argash signed up for Juvo Leads for call tracking for a client but after seeing how Juvo Leads builds custom Data Studio reports for each agency – he quickly incorporated these reports with each clients. Each month “Montgomery SEO Agency” was spending between 5-8 hours pulling data from call tracking sources, chat, and form submissions and integrating these reports with Custom Analytics reports. The reports were great but Account Managers spent hours each month pulling data and customizing individual reporting requests for a little over 1/2 of their clients. 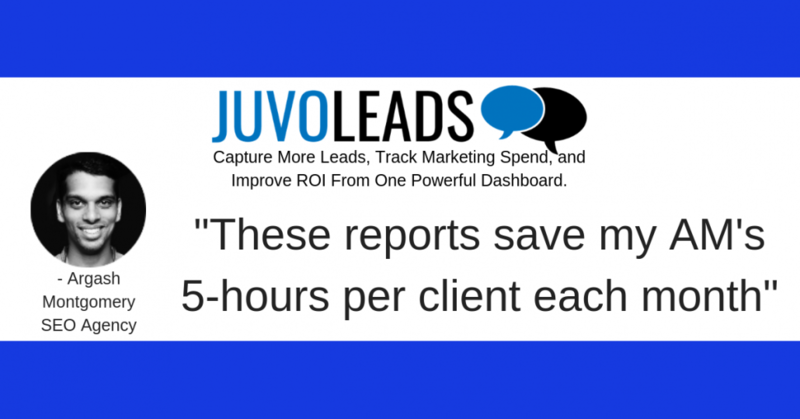 Argash signed up for Juvo Leads to try out the low priced call tracking – but when Argash saw the customized Data Studio reports that were set up with each agency account he realized the potential in saving his account mangers 30-40 hours each month. 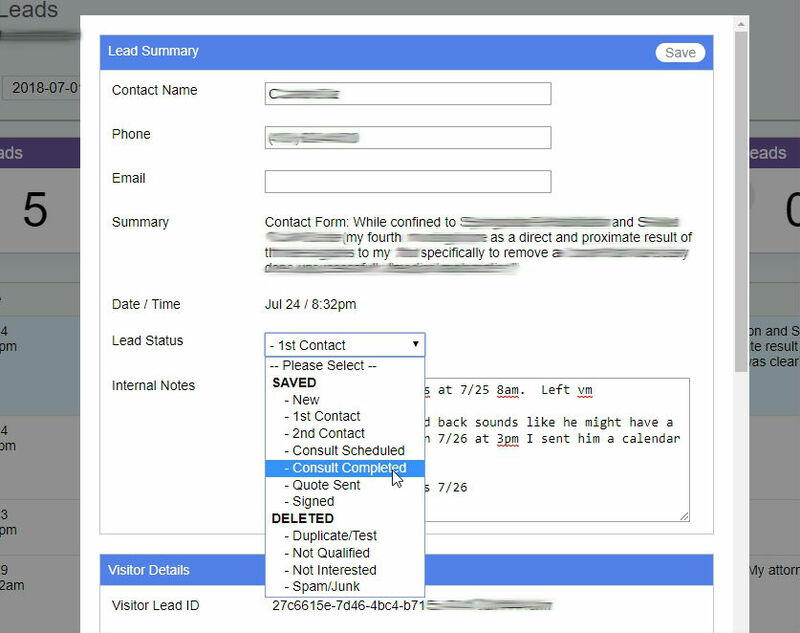 Juvo Leads works with each agency client to create custom Data Studio templates so client can access the reports at anytime while also reviewing form leads, listening to call logs, and updating the statues for each chat leads. 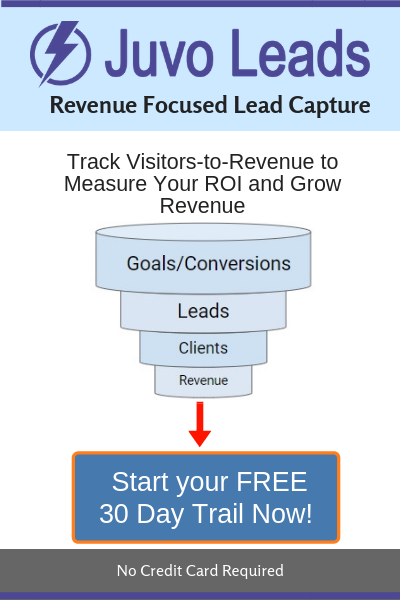 Use your own Data Studio reports or any of the 25+ Pre-Made reports that Juvo Leads has custom created for Digital Marketing agencies. Do your clients have custom reporting specifications? We got you covered. For each agency Juvo Leads will create a unique Data Studio reporting module that is fully customizable and ready to use for every client.